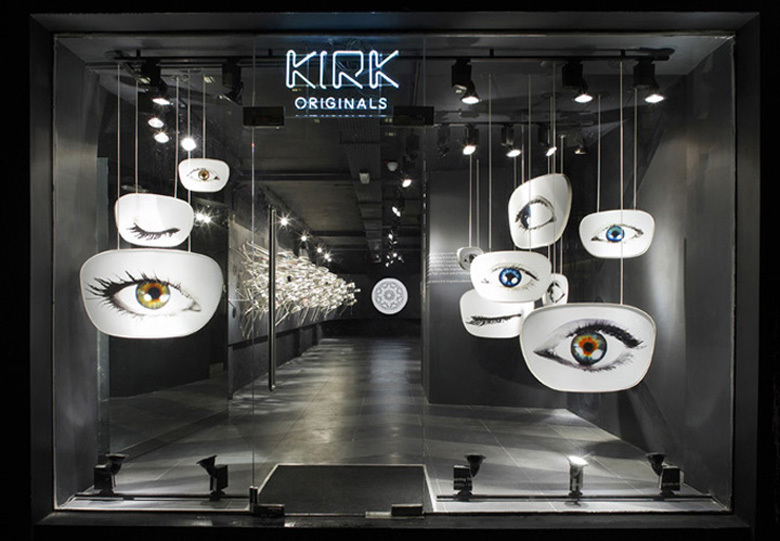 London-based Campaign designed the pared-down, dramatic retail environment of the 66 square-meter boutique. 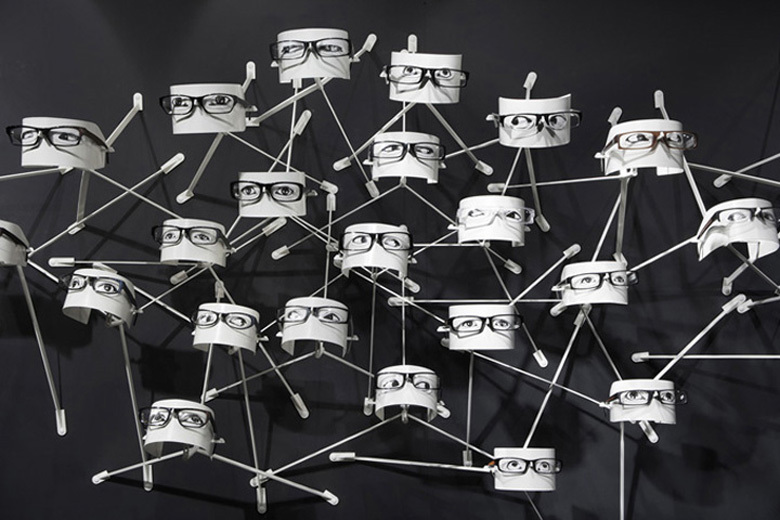 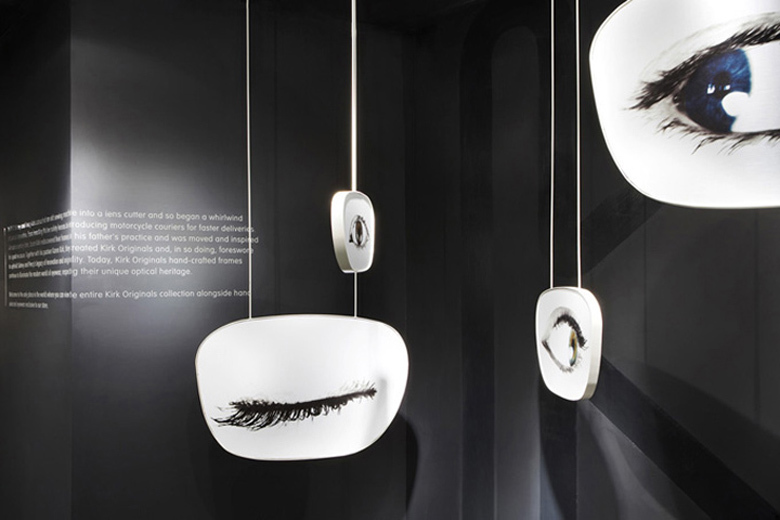 The black-and-white color palette, only one eyewear wall with 187 “heads” for frames, and practically no furnishings ensure that customers will focus on the eyewear, not the trappings. 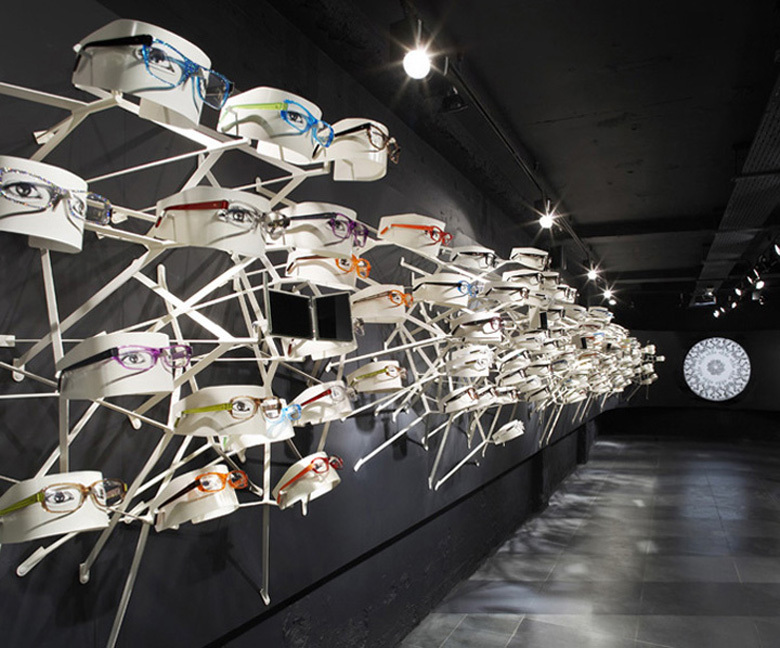 Eye examinations and fitting take place in the basement, away from the main display space. 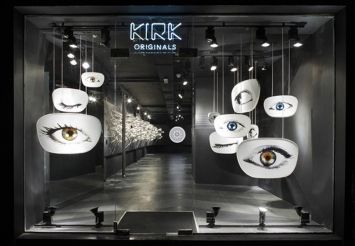 Large graphics of winking eyes in the window speak the same, clear language leaving no doubt about what they sell.